The inventory of free Columbus Bucks used for that bonus comes from a combination of business sponsors and the Chamber itself. This year several banks led the way as corporate sponsors: Cornerstone Bank; Bank of the Valley; Great Western Bank; First National Bank; Pinnacle Bank; and Great Plains State Bank. The Chamber appreciates their recognition of the importance of local small retailers. Along with the financial institutions that invested, a number of local merchants also lent support through sponsorship of the Columbus Bucks and in some cases offering an additional discount on Small Business Saturday. So thanks also to these businesses who invested in themselves and their fellow Columbus businesses. They were: Advanced Consulting Engineering Services; Hometown Insurance Agency; TC Home Furnishings; Subway; Fast Mart; Sears Hometown Store; Applied Connective Technologies; Downtown Business Association; BeYoutiful Boutique & Gifts; Runza; Barbara Jean’s; Goodwill Industries; Urban Farm Boutique; Rexius Nutrition; Lavender Thyme Gifts; Treasures; Harley Davidson Sales; Eakes Office Solutions; Tooley Drug and Home Care; Imagine That Scrapbooking & Gifts; Market 23; Ace Hardware; Valencia Boutique; Grace Jewelry; and Tapestries. While the Holiday Giveaway is in the books, of course that doesn’t mean that Columbus Bucks can’t still be purchased! Gift givers can purchase them at the Chamber of Commerce office and they’re just like cash at members.  They come in $10 increments, we’ve got gift envelopes to go with them, and they are a great tool for you to invest in Columbus while buying what you need anyway.